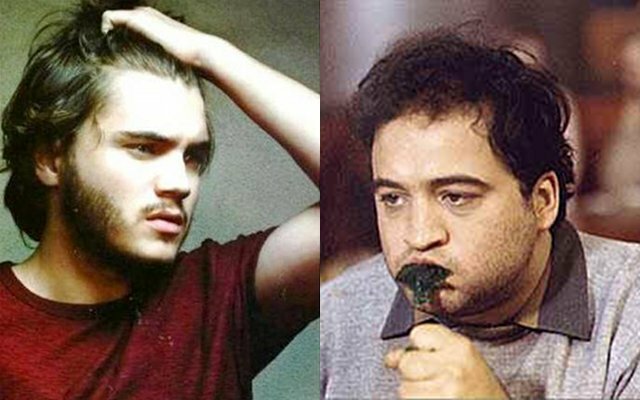 (Source) “Emile Hirsch has been cast as John Belushi in Steve Conrad’s untitled biopic about the larger-than-life comic actor. Emjag’s Alexandra Milchan, Bonnie Timmermann, Film 360′s Scott Lambert and Judy Belushi Pisano are producing. Belsuhi Pisano was the actor’s high school sweetheart and had been his wife for six years at the time of his death in 1982. Filming will start in New York City in the spring. Hirsch will be 29 when production starts. Conrad will direct from his own script, adapted from the 2005 biography “Belushi,” written by Belushi Pisano and Tanner Colby. Belushi’s “Saturday Night Live” castmate and close friend Dan Aykroyd is exec producing. The film will cover the heights of Belushi’s fame in “The Blues Brothers” as Jake Blues and “Animal House” as John Blutarsky along with being the biggest star on the first four seasons of “Saturday Night Live.” The series, which launched in 1975, included Belushi’s introductions of the Blues Brothers and Samurai Warrior characters along with memorable impressions of Wiliam Shatner, Joe Cocker, Marlon Brando and Elizabeth Taylor. The film will also cover his unexpected death at age 33 from an overdose of a mixture of cocaine and heroin at the Chateau Marmont in Los Angeles. As a movie fan, this is a project to get excited about, and now that the main character has been cast, this untitled biopic has a chance to be great. Belushi was such a revolutionary figure in the television and movie world of the 1970s, so it’s nice to see his turbulent legacy will be celebrated on the big screen. Hirsch is as talented a young actor as there is in Hollywood, and I’m anxious to see how he begins to prepare for the role. It’s also always comforting to see that close friends and family are attached to the project. Let’s hope they get this one right and do the comic genius that was John Belushi justice. Posted on October 28, 2013, in Average Blog Posts and tagged actor, belushi, Comedy, emile, hirsch, john, movie. Bookmark the permalink. Leave a comment.